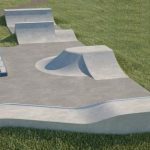 Charlbury skatepark is an all concrete back and forth based park, built by Bendcrete and can be found on the outskirts of town. 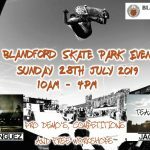 On one side of the skatepark is a mini ramp and coming off one of the top platforms is a quarter pipe that leads into the main body of the skatepark. Following this is a funbox lined with a hubba and with a rail running down the middle and adjacent to this is a ledge. The run finishes with a flat bank that acts as a return ramp. 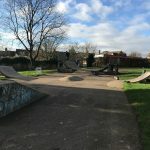 Charlbury skatepark is a small and simple local park, it doesn’t have the most original layout but the surfaces are smooth and fast making is a perfect places for beginners or just a warm up. If you are in the area get down here and check it out. Charlbury train station: Exit Charlbury station onto Dyers Hill and head east until Pound Hill, here turn left and the the first right onto Nine Acres Lane. Follow this road and continue onwards as it turns into The Slade until Ticknell Piece Road. Take this road and follow it until Charlbury Road is in sight. 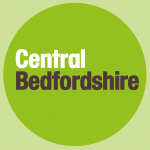 Wychwood Close bus stop: Exit the bus onto The Slade and walk south until Ticknell Piece Road. Take this road and follow it until Charlbury Road is in sight.